NASHVILLE — Republican Gov. 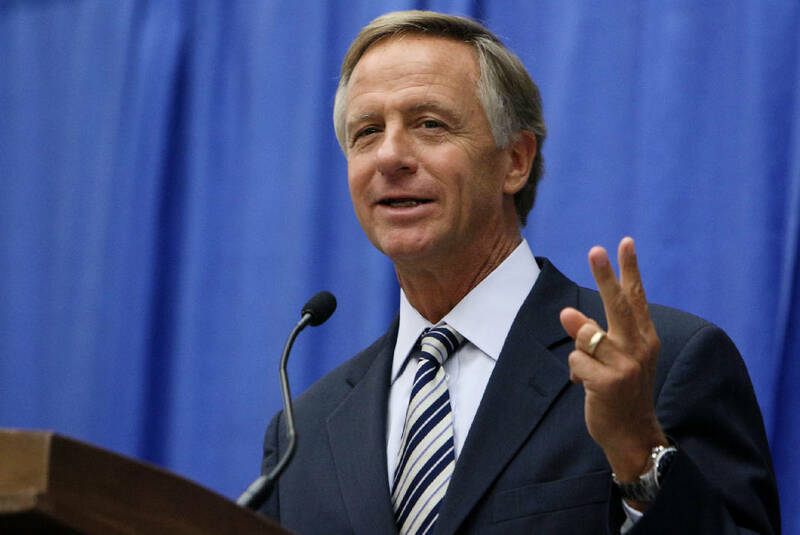 Bill Haslam has quietly signed into law a controversial bill that seeks to strip all TennCare funding from Planned Parenthood of Tennessee. "The governor ... deferred to the will of the legislature on this bill as amended, and after reviewing the bill in its final form decided to sign the bill into law," Haslam press secretary Jennifer Donnals said of the governor's action on Monday. The new law, passed last month by the Republican-led General Assembly, requires the state to seek a waiver of federal Medicaid rules in order to let Tennessee eliminate all funds going to nonprofit groups providing medical services that include elective abortions. It's targeted at Planned Parenthood. On Tuesday, Americans United for Life President and CEO Catherine Glenn Foster praised both Haslam and lawmakers for the new law, which the group says was based on its model legislation seeking to restrict funding for abortion providers nationwide. "Based on AUL's Defunding the Abortion Industry and Advancing Women's Health Act, this legislation prioritizes the funding of comprehensive healthcare facilities that can help women address a broad array of health issues that Planned Parenthood and other abortion providers are not equipped to handle," she said in a statement. When the bill passed, Planned Parenthood denounced it as a "disappointingly bold move by our state legislature to disregard patients' rights, further discriminate against women, people of color, and the poor, and push the extremist agenda set forth by the Trump-Pence administration." Planned Parenthood says none of the money it gets from Medicaid, operated under the TennCare umbrella in Tennessee, goes toward abortion services. Instead, the group says, it goes toward health care services for women, including prenatal care, cervical cancer screenings, sexually transmitted disease screening and treatment, hormone replacement therapy and pap tests. Rep. Jimmy Matlock, R-Lenoir City, who carried the bill, charged during debate that nearly $1 million has been paid to abortion clinics here through TennCare in the past six years. While the money doesn't go directly toward providing abortions, Matlock acknowledged, he argued it does go to clinics that provide that service and thus "is a form of supporting abortions." A recent national report by the U.S. Government Accountability Office found that a total of $40,000 in indirect funding went to Planned Parenthood of Middle and East Tennessee in fiscal years 2013, 2014 and 2015 combined. All of that was in 2014. Matlock and other abortion opponents say any funding should go to the state's 95 county health departments and other nonprofit providers, which can provide non-abortion related health services. Americans United for Life says at least 24 states have moved to limit the ability of abortion facilities to the use of family planning funds in some manner.